You must be a member of the Cape Town Arts & Culture Group to attend this activity. Would you like to join this group? 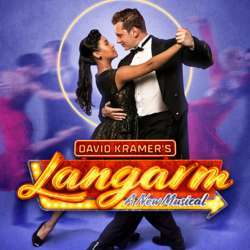 Produced and presented by Eric Abraham for the Fugard Theatre, Langarm is a story of love and intrigue set in the story-world of Cape Town’s ballroom dance culture in the Protected content . With the threat of the new apartheid laws hanging over their heads, people will do almost anything to survive. In Protected content Dinah Levin is widowed, she invites her nephew Jeff whose fiancé has just dumped him to help her manage her late husband’s Canterbury Hotel. Here he meets the lovely, young ballroom dancer Angelina, and when she asks him to partner her in The Swaziland Ballroom Championships, he sees it as an opportunity to humiliate his ex. Aware that he’ll risk arrest by flouting the law, he throws caution to the wind and agrees.